The official start of fall on Thursday comes with both good news and bad news. The bad news: summer is, of course, sadly over. As for the good news: Starbucks is now offering its spicy lineup of fall drinks -- including the Pumpkin Spice Latte -- at a significantly discounted price. Coincidence? Almost certainly not. 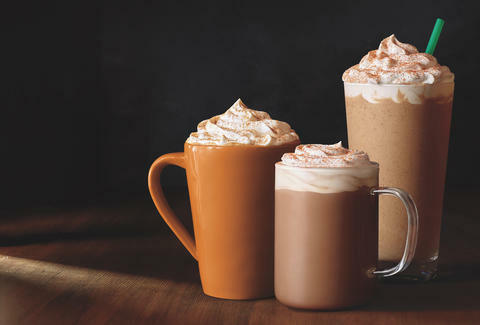 Starting Thursday, September 22nd, you can get any grande-sized Starbucks fall beverage -- the PSL, new Chile Mocha, or Salted Caramel Mocha -- for just $3 during the hours of 2pm to 5pm at participating locations across the US. As you're often reminded of by your credit card statement, these things can normally set you back at least five bucks, so getting about $2 off is pretty damn good. Better yet, you can order any of the drinks as hot, iced, or even as a Frappuccino. But sort of like summer, the deal will be over before you know it -- it's good only through Sunday, September 25th. This is all to say that if you haven't already conceded the end of summer and the start of pumpkin spice season, well, now's probably your best shot. Pumpkin spice responsibly. Tony Merevick is Cities News Editor at Thrillist and thinks this is an excellent way to celebrate the official start of fall. Send news tips to news@thrillist.com and follow him on Twitter @tonymerevick.